Each week, Robert Mueller's Wonderlandian investigation into "Russian Collusion" appears "curiouser and curiouser". Each week, it appears that the entire investigation never really had anything to do with Russian collusion, at least in the Trump campaign; only in the Hillary Clinton campaign, where all the investigators have been conscientiously not looking. First, Mueller indicted General Michael Flynn for not telling the truth to an FBI squad that appeared unexpectedly at the White House to question him, when now it turns out that Peter Strzok, who interrogated him, said he had not lied. It also now turns out that former FBI Deputy Director Andrew McCabe may later have altered Strzok's interrogation notes, and then destroyed the evidence. Mueller then indicted Paul Manafort for allegedly laundering money through an Alexandria, Virginia, oriental rug store -- a "process crime". Notably absent from it in any indictment was mention of Russia, collusion or even elections. "(d) Sections 600.4 through 600. l 0 of Title 28 of the Code of Federal Regulations"
"You don't really care about Mr. Manafort's bank fraud. You really care about getting information that Mr. Manafort can give you that would reflect on Mr. Trump and lead to his prosecution or impeachment or whatever." Mueller's only indictments that did relate to Russia were directed at a nest of Russian sock-puppets who, in an apparent effort to influence public opinion, pushed pro-Trump tweets during the 2016 election. The crimes alleged were that the sock-puppets were foreign agents trying to influence American elections through social media. In other words, the Russians were doing what they have internationally for decades -- attempting to influence domestic American politics through fronts and propaganda. 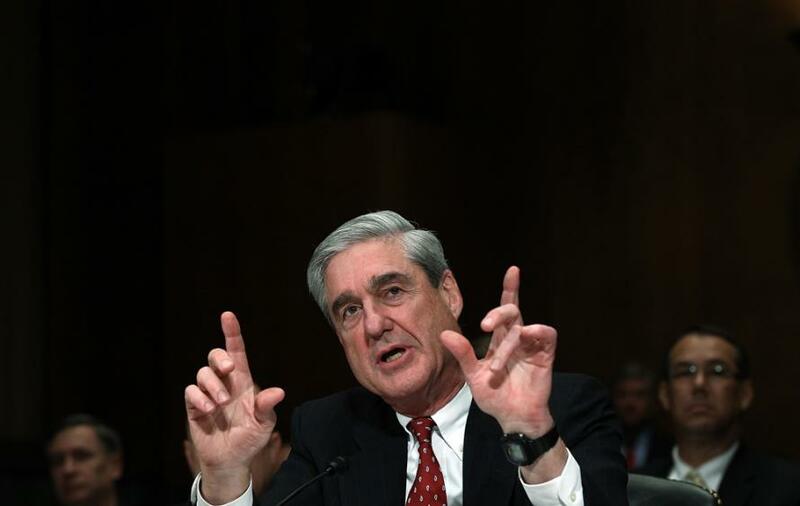 When the sock puppets, incidentally, had the nerve to ask for proof, Mueller asked for a delay, which the judge refused to grant. As Andrew McCarthy, former Assistant United States Attorney for the Southern District of New York, noted, "as all prosecutors are taught from their first day on the job: Never indict a case unless you are prepared to try the case." If the Democrats seem suddenly concerned about foreigners influencing an election, that is what the previous administration did as recently as 2015 -- to Israel. Then, the Obama State Department funneled $350 thousand U.S. taxpayer dollars to OneVoice, an anti-Netanyahu political operation during Israel's parliamentary elections. OneVoice used American tax dollars to build a political voter database, train activists, and hire a political consulting firm with ties to President Obama's campaign apparatus. American tax dollars were funneled through Netanyahu's foes and eventually ended up back in the pockets of Obama's political machine. Now the same gang that used American power to try to bring down the Israeli Prime Minister is sanctimoniously objecting to Russian interference-by-tweeting. The frenzy about the Russian tweets also has a sinister side. The singular lesson for history of the seemingly widespread corruption at the senior levels of the FBI, Department of Justice, and the State Department is that a phony "dossier" about then-presidential candidate Donald Trump was used to obtain -- by misrepresenting its contents to a judge -- Foreign Intelligence Surveillance Act warrants against private citizens. The dossier was cooked up and paid for by Democrat political operatives with ties to the presidential campaign of former Secretary of State Hillary Clinton and the Democratic National Committee. When Representative Devin Nunes (R-CA) suspected that the admittedly "unverified" phony dossier was used to obtain wiretap warrants of American citizens, he was right. But it gets worse. After the warrants were obtained and telephone calls of private citizens were tapped by the FBI, Obama Department of Justice officials, and some people yet unnamed inside the Obama White House, authorized the unmasking of the content of those conversations. Unmasking means that the transcripts and identities of Americans were revealed, violating their Fourth Amendment right to privacy. For good measure, Obama officials even changed the rules about how widely those unmasked transcripts could be distributed inside the DOJ, thus expanding the universe of potential leakers. In short, Democrats produced a phony document to make candidate Trump look creepy, then Obama DOJ officials working with sympathetic FBI staff and outside political operatives, obtained FISA search warrants by lying to FISA judges four times in order to target the Trump campaign in an apparently unlimited fishing expedition for a crime -- none ever having been specified as is required by law -- even after the president was duly elected. If all of this were not enough, a small core of powerful FBI senior staffers -- as opposed to the FBI's remarkable rank and file -- was steering this entire affair, while simultaneously texting each other about their hatred for candidate Donald Trump. The central item to understand is that Swamp actors inside the DOJ and FBI used their powers first to do what could be done to exonerate at least 13 possible crimescommitted by Hillary Clinton. That, at least was the number committed beforeinformation emerged that her campaign and the DNC had funded the dossier; later findings must have added a few more. The Swamp actors' other objective was apparently to sabotage Trump's presidency if Trump won. Peter Strzok wrote, "I want to believe the path you threw out for consideration in Andy's office—that there's no way he gets elected—but I'm afraid we can't take that risk. It's like an insurance policy in the unlikely event you die before you're 40..." by using their powers in the Russia probe to destroy the president politically. It is precisely the sort of subversion that takes place in banana republics -- where political differences are criminalized and weaponized -- and is fundamentally anti-Constitutional. It appears to be -- on the part of some of the heads of the FBI, the Department of Justice, the State Department and President Obama's White House-- part of a criminal conspiracy to obstruct justice and abuse power in order -- as former U.S. Attorney for the District of Columbia Joseph diGenova put it, "to illegally exonerate Hillary Clinton and, if she didn't win the election, to then frame Donald Trump with a falsely created crime." The fraud on the court, and by extension, on the American people, appears an attempt to convert power over the ministerial state into political power. Instead of graciously allowing his successor to get his sea legs and govern -- a courtesy traditionally extended by Presidents of both parties -- former President Barack Obama lingers and supports the "Resistance" movement. What you see happening when Rep. Nunes threatens to hold Justice Department officials in contempt for hiding the basis for the FBI to obtain FISA warrants, when you read indictments about Russian sock puppets, it is something more than the good old-fashioned Beltway scandal. What you are seeing is Constitutional political warfare unleashed by the bureaucracy against a President the bureaucracy apparently loathes. The bureaucracy seems now to believe that it is in charge, not the president. The bureaucrats make a good living, have comfy retirement plans, can buy life insurance at rates more reasonable than a private sector employee can, and likely think that Trump is a threat to their power. The bureaucrats have created a culture in Washington D.C. that extends beyond the hallways of their Departments. The culture of the D.C. metropolitan area is one of wealth, privilege and self-proclaimed sophistication. The bureaucrats and insiders know what is best for you, best for your business, best for themselves, and they can make a nice living without being disrupted. Trump campaigned on disrupting this comfortable power perch; that is what they most hate about him. The Russian collusion investigation has not found any collusion because the investigation was never about collusion. It was always about an out-of-control federal government, emboldened by the lawless age of Obama, and flexing its newfound muscle. The Russian collusion investigation is about a clash of cultures, with one culture being the culture of D.C. insiders, and the other being the folks who pay their salaries.